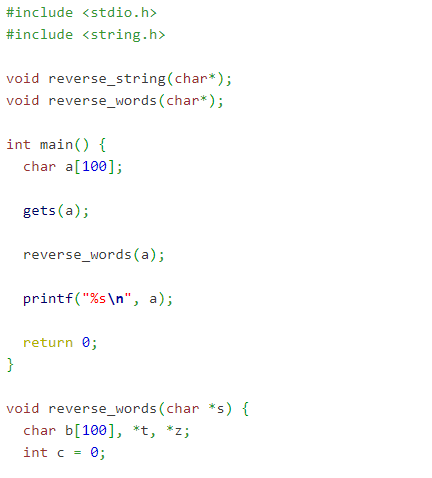 This profram will invert each word occurring in the input string. Algorithm is very simple just scan the string and keep on storing characters until a space comes. If a space is found then we have found one word so we append null terminator and then reverse the word and then copy the characters of original string with the string obtained on reversing. Then repeat the previous step until the string ends. * that case we don’t want to increment pointer. * Function to reverse a word.